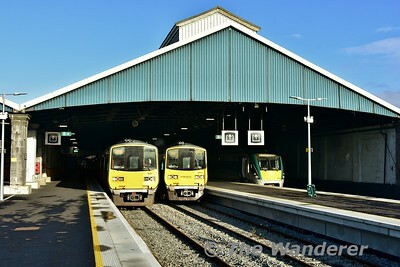 A brief visit to Ballybrophy to photo the 1200 Heuston - Cork and 1125 Cork- Heuston passing the station. While wandering around Co. Clare a slight detour found me conveniently passing Moyasta on the way home. Not much appears to have changed since my last visit in 2016 (click here ), with no progress made on the long mooted transport museum. Later in the day I stumbled upon former Dublin Bus vehicle RH11 outside a pub at Liscasey, Co. Clare. Pictures from Heuston on Tuesday evening while waiting to catch my train home. A ramble to Ashtown via tram and train to meet some friends for a catch up. The latter part of the evening has pictures from Heuston. A ramble to Rosskelton and Clonkeen during lunchtime to photo the 1000 Mallow- Portarlington Spoil Train which was hauled by 076 with 077 dead in tow. 077 had failed on Tuesday outside Cork with the same train. Includes pictures of the Railway Preservation Society of Ireland Santa Train Specials between Connolly and Maynooth with the RPSI's No. 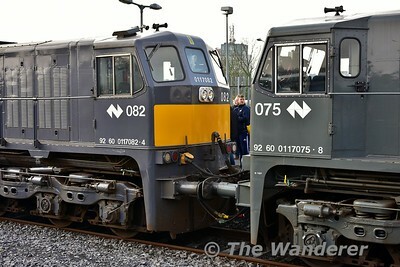 4 and IE 071 Class 082. A day spent on the Maynooth Line photographing the RPSI Santa Specials and travelling on the 3rd trip of the day, which due to the problems No. 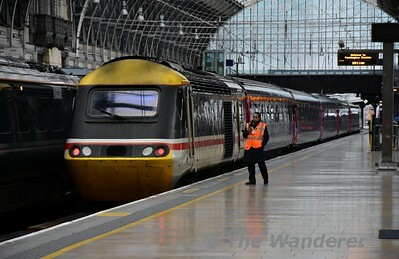 4 had on the 2nd trip was worked by Belmond Grand Hibernian liveried 216. On a side note the 30 minute interval service on the Maynooth line is very welcome for hopping between stations. On Sunday morning I travelled up from Greystones to Dublin before catching some Green Line LUAS photos in between the Christmas Shopping. 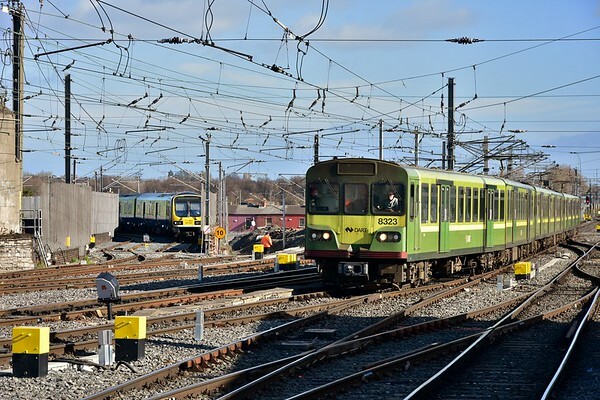 A few photos from Heuston and Busaras while up in Dublin for the day. With a busy work schedule and lots of dreary weather, the opportunity for photographs in the lead up to Christmas has been limited. But I managed a detour to Kilkeen Level Crossing outside Killarney on Sunday afternoon while travelling along the N22 road to photo 22023 passing on the 1510 Tralee - Mallow. No trains today :) so after the Christmas Dinner we went for a stroll around Garry harbour to shake off the cobwebs. A day trip from Thurles to Belfast to see family features images from Thurles, Heuston, Connolly, Dundalk, Portadown, Belfast Lanyon Place and City Hospital. We bring the December and 2018 galleries to a close with some images of 2810 + 2809 at Nenagh with the 1005 Ballybrophy - Limerick. Happy New Year to everyone!